Berlin is fascinatingly dark, moody, atmospheric, slightly gritty at times, but fabulously anarchic, alternative and countercultural. It’s the place where anything goes – and whilst many other cities use the same slogan, it’s in Berlin where it really means – anything. Berlin’s nightlife still echoes the years when the city was the first and most shining beacon of tolerance, in the late 1920s and early 1930s, sadly obscured by the madness of Fascism. Once regained its freedom the city once again rose from its ashes to become once again a proud magnet for everything that is creative, eccentric, different and artistic. There is an empowering and liberating sense of freedom in this amazing city that no visitor will fail to notice. Berlin has a typical Central European continental climate. Winters (November to March) are very harsh and often snowy. Temperatures can often persist below zero Celsius for weeks, even during the daytime. Spring is a gorgeous season to explore the city’s park and open spaces. Summers can be warm and Berliners flock to the many lakes punctuating the suburbs, plus the various ‘city beaches’ along the river Spree, even if the hot days are often punctuated by the odd thunderstorm. Autumn sees the Tiergarten turning all shades of red and gold, as the first night frosts arrive. Whatever the season, Berlin has such a rich calendar of events that visitors will never feel devoid of opportunities to enjoy the vibrancy and cosmopolitan nature of this city. When it comes to Film Festivals, the Berlinale ranks up there with Cannes and Venice, and rightly so. Held in mid-February it boasts over 330,000 tickets sold for a total of 400 films. The best of LGBT cinema is celebrated and recognised at the Berlinale with the annual Teddy Awards. One of the two events that really put Berlin on the map when it comes to Leather & Fetish. This world-famous event is held on the week before Easter and culminates with some huge parties on the long weekend. 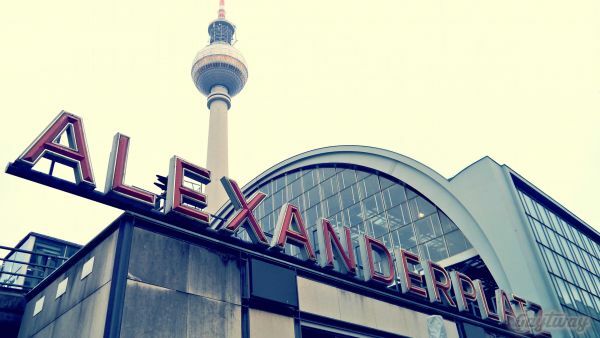 Easter Saturday is also the date of the huge Snax Party at Berghain, possibly one of the most legendary and sleaziest men-only parties around in one of the world’s most iconic venue. This event is held in the Schöneberg area - around the Nollendorfplatz, still the main gay & lesbian stomping ground in Berlin, on the weekend before CSD (in 2016 it be 16-17 July). The emphasis is on LGBT community projects, film, poetry, queer culture, music, etc. 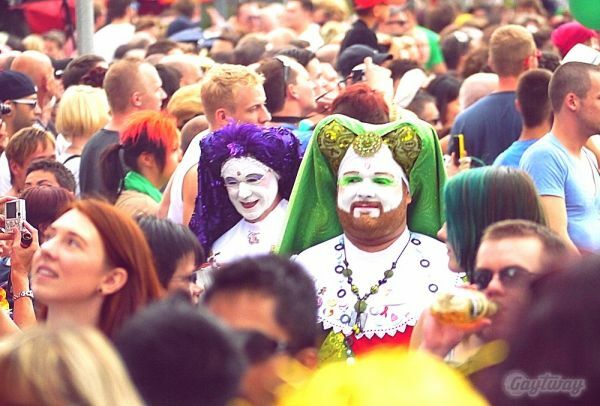 It is a slightly smaller event than CSD, but it still attracts over 350,000 people and is a great warm-up. In Germany & Switzerland all Pride events are called Christopher Street Day (or CSD) after of the location of the Stonewall Inn in New York. 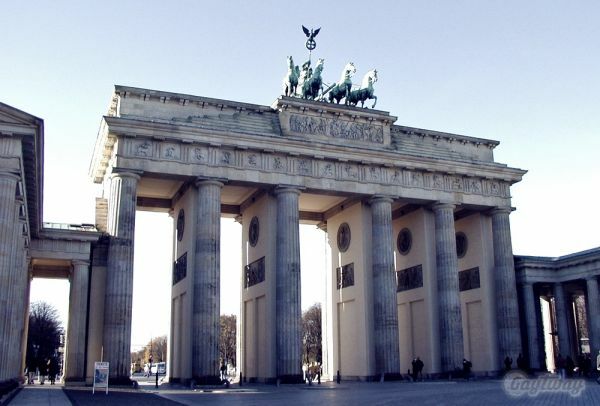 Berlin hosts one of the largest events in Germany, attracting up to 500,000 people. This event is normally held at the end of June, but in 2016 it will be held on the weekend of 23-24 July for organisational reasons. The current course of the march (2015) is from Ku’damm to Nollendorfplatz, then through the Tiergarten and ending with a rally and entertainment at the Brandenburg Gate. Held on the second week of September (in 2016 between 7-11 September), this is the sister event of the famous San Francisco celebration of everything leather & fetish. The actual fair is held along the Fuggerstrasse, in Schöneberg at the weekend, but there are events all through the week, culminating with the official closing PIG Party on the Saturday night. This massive music festival’s European edition is held in Berlin, in mid September (in 2016 it will be at the Treptower Park). The festival features popular alternative rock, heavy metal, punk-rock, hip hop bands and also dance & comedy shows. Each year in October, Berlin turns into a city full of light art. National as well as international artists present light installations and transform the city into a huge stage. They tell stories, draw attention to the special and present their cultures, arts, crafts and messages. Berlin landmarks, historical places, streets, squares, trendy neighborhoods and hotspots of recent history are staged with suggestive lights. Germany is famous for its Christmas Markets and Berlin is no exception. The main ones are held in Alexanderplatz, Gendarmenmarkt, at the city end of Ku’damm and also at Potsdamer Platz, where a giant toboggan is placed. There are also smaller markets around the city. Most markets open around the 20th of November and close just after the New Year’s Celebrations. If you thought Berliners would ring the new year in quietly you’d be mistaken. They instead hoard huge quantities of fireworks and then literally set the city alight. On the night Berlin resembles more an anarchic fire-fest than its normal self. If you want to be in the middle of the action head to the Oberbaumbrücke and Warschauer Strasse, where most Berliners go to see the new Year in a chaotic, slightly dangerous but highly-fun night.